Hello - I submitted a report to MUFON several years ago but never heard back from the group. This incident continues to haunt me. I don't have an actual copy of the report but I'll give you as many details as possible from the notes. I know what I saw is true. In 1972 I was living in a four family flat in Highland Park, MI on Glendale. I was about 8 years old. A new family had just moved in from Texas and I became friends with their girl who was my age. I slept over at her place one night. In the early a.m. I woke to use the bathroom and got out of bed. The bathroom was located on the right side of the room I was sleeping in, at the end of the hall. The hall was shaped like an 'L'. Not long after I got up I heard a noise that sounded like a door moving. I walked to the long side of the hall to see who was awake. The light shining from the bathroom allowed me to see what I thought was a small child holding onto a knob and peering out from behind the door. I could see his silhouette and I thought he must be hungry because he looked so skinny. I took a step closer blinking my eyes as to clear up my sleepy vision. As my vision became more clear I turned my head to the left and it mimicked me. That's when I saw the eye - it was large and black - so I turned my head to the right and it mimmicked me again. It had tiny slits for a nose and a dimple for a mouth as it appeared from behind the door. Then I noticed the 3 long fingers holding the door knob. It had no clothes and I could only see the one shoulder. The skin appeared to be grey a dark grey. I took a deep breath and urinated on the wax floor and then fainted. I woke the next morning and remembered that I had urinated on the floor but there was no evidence. I didn't know why I would do that my underwear were bright white, almost glowing. I was back in the bed and there was no urine in the bed. I felt no reason to tell my mom or my friend that I urinated in the hall - there was no proof the wax floor was not damaged and my underwear were better than new. Well fast forward to 1986 - 14 years later. Time Life Magazine advertised a giveaway book 'Aliens - are they really out there' and flashed a picture of the alien. Suddenly, I flashed back - I was 8 years old again standing in the hall reliving everything over again. They are here...they have been here for years. For two weeks after that flash back I could not walk. A relative told me I believe there is a chip in my leg and that they may have nicked a nerve inserting it. There was also a deep indentation on my leg for quite a long time. I gained so much weight as well. This happened to me and I decided when I wrote MUFON that I will continue to go on acting as if it was a dream. There is a bit more to the story and it concerns the family from Texas I was visiting that night. After several years I saw them again and I told them my story. 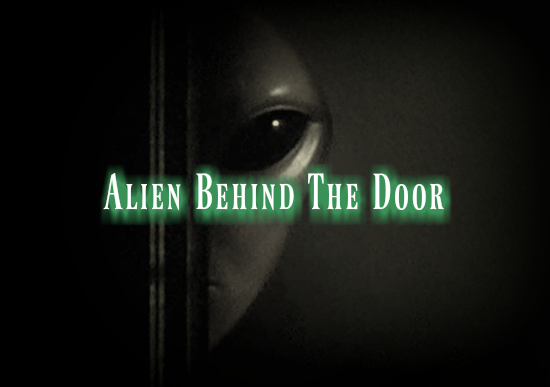 They confirmed it to be true because one of their family later committed suicide as a result of watching the alien move about the residence. This was my friend's younger brother who had not been born before we moved away. The family did not believe his encounters so he eventually killed himself. I wish I could have been there because I saw the alien and I would have believed him.